What Australian animal is that? 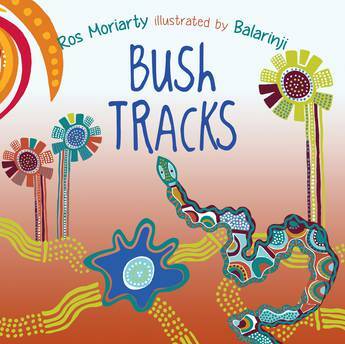 Follow the tracks and find the animal in this lyrical story for the very young that features Indigenous artwork by Balarinji. What can you see? Follow the clues that landscape, seasons, weather, the stars, the moon and the sun give to navigate bush tracks and find the Australian animal. A lyrical, fun story about tracking animals in the bush featuring vibrant illustrations by Balarinji, Australia's leading Indigenous design studio. Ros Moriarty, author of the acclaimed memoir Listening to Country, is also the founder of Indi Kindi early literacy education. Ros Moriarty, formerly a journalist with Radio Australia in Indigenous affairs, women's issues and the environment, has spent most of her professional life as creative and managing director of Australia's leading Indigenous design studio, Balarinji, a business she established with her husband in 1983. Balarinji is best known for covering Qantas 747 aircraft in Indigenous art. During 27 years of delivering groundbreaking projects, including the Emu Dreaming tutu for the Australian Ballet's 40th birthday and the Hands across the Land poster for the 2000 Sydney Harbour Bridge Walk for Reconciliation, the company has fostered the careers of Indigenous artists and designers from all over Australia, and has returned royalties to NT artists since 1995. Ros also co-founded the not-for-profit Nangala Project, which includes Indi Kindi early literacy education, and has won many awards for business and citizenship. Author of four books for very young readers, the acclaimed memoir Listening to Country, and an Indigenous colouring-in book, Colouring Country, Ros lives with her husband, John Moriarty, in her favourite city in the world, Sydney. They have three adult children.